Nashville, TN (August 11, 2017) – RCA Inspiration and Lionsgate, a global content leader, announced the Greenleaf Soundtrack: Volume 2 will be released on September 8, 2017 with pre-order sales available today. The soundtrack features music from Season 2 of the acclaimed OWN: Oprah Winfrey Network original series, Greenleaf, which stars Keith David, Lynn Whitfield and Merle Dandridge. Greenleaf Soundtrack: Volume 2 features both emerging and iconic artists performing original songs such as “Won’t He Do It” (Koryn Hawthorne), “Shine The Light” (cast member Deborah Joy Winans) and “Rise Up” (Roshon Fegan) and previously released music including, “1, 2, 3 Victory” (Kirk Franklin), “Heaven” (Mary Mary) and “Better Days” (Le’Andria Johnson). The soundtrack also includes a remix to “The Root,” the show’s title theme, performed by the legendary Mavis Staples. In addition, the series was recently renewed for a third season on OWN. The dramatic series is produced for OWN by Lionsgate in association with Harpo Films and Pine City. Executive producers are Oprah Winfrey (“Selma”), Craig Wright (“Lost,” “Six Feet Under”) and Clement Virgo (“The Book of Negroes”). 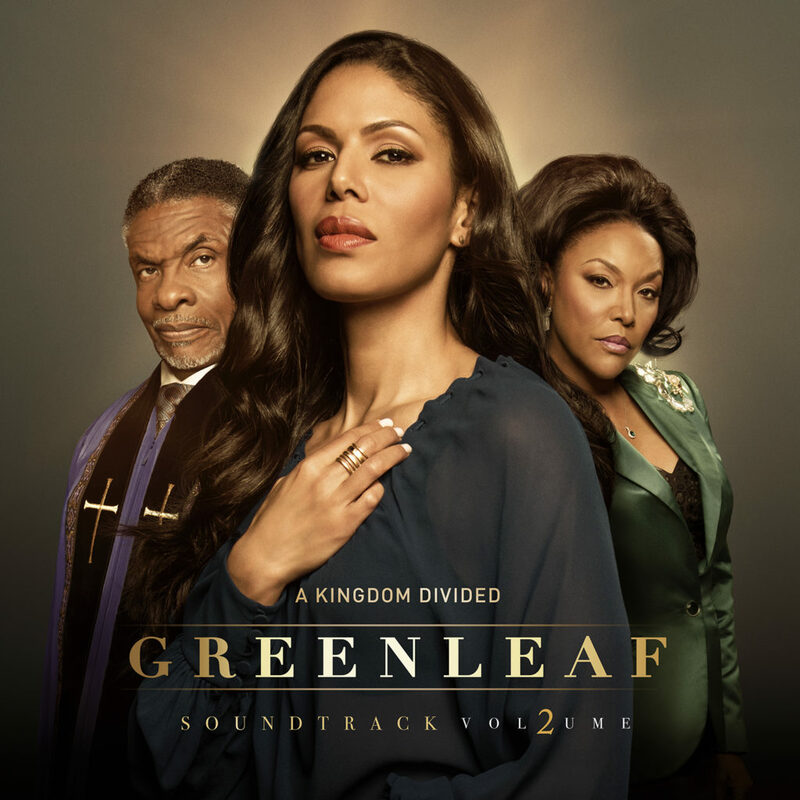 Greenleaf Soundtrack: Volume 2 is currently available for pre-order via all major digital retailers. “Greenleaf” takes viewers into the unscrupulous world of the Greenleaf family and their sprawling Memphis megachurch, where scandalous secrets and lies are as numerous as the faithful. The series centers on the journey of estranged daughter and disillusioned preacher Grace Greenleaf (Merle Dandridge, “The Night Shift”) who has returned home after 20 years on the occasion of the mysterious death of her sister, Faith. As she reenters the world of Calvary Fellowship World Ministries, the Memphis megachurch run by her powerful parents Bishop James Greenleaf (Keith David, “Community”) and Lady Mae Greenleaf (Lynn Whitfield, “The Josephine Baker Story”), it becomes evident that things are not as virtuous as they seem and that the family’s outward display of faith hides sin and misdeeds. The series also stars Lamman Rucker (“Why Did I Get Married?”), Deborah Joy Winans (“Whitney”), GregAlan Williams (“The Accountant”), Kim Hawthorne (“Switched at Birth”), Tye White (“The People Vs. O.J. Simpson”), Rick Fox (“Dope”), Desiree Ross (“Falling Skies”) and Lovie Simone. Viewers can catch up on the show’s complete first season on the Watch OWN App. For photography and additional show information please visit Greenleaf Press Web and http://www.greenleafown.tv/.